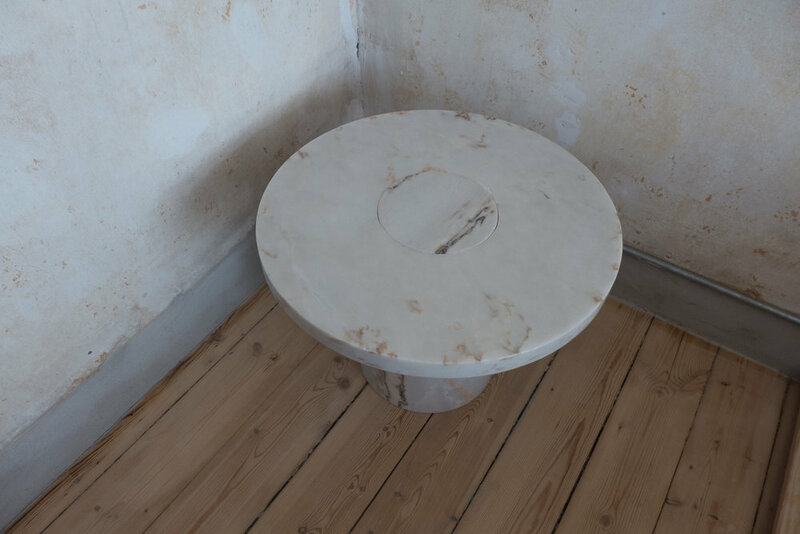 For 3daysofdesign Niels Strøyer Christophersen of FRAMA opened his apartment on Strandboulevarden in Østerbro. It's on the ground floor and at the corner of an apartment building that dates from around 1900 and, from the start, it was a shop with a small apartment behind as accommodation for the shopkeeper. This was a common arrangement in the city where many of the apartment buildings - from the late 19th century and then on through the 1920s and 1930s and 1940s - have commercial and shop space on the street level and particularly at the corners of the buildings. The entrance into the shop from the street - with the doorway set across the angle of the cut-off corner - is typical of the period as are the high ceiling heights. 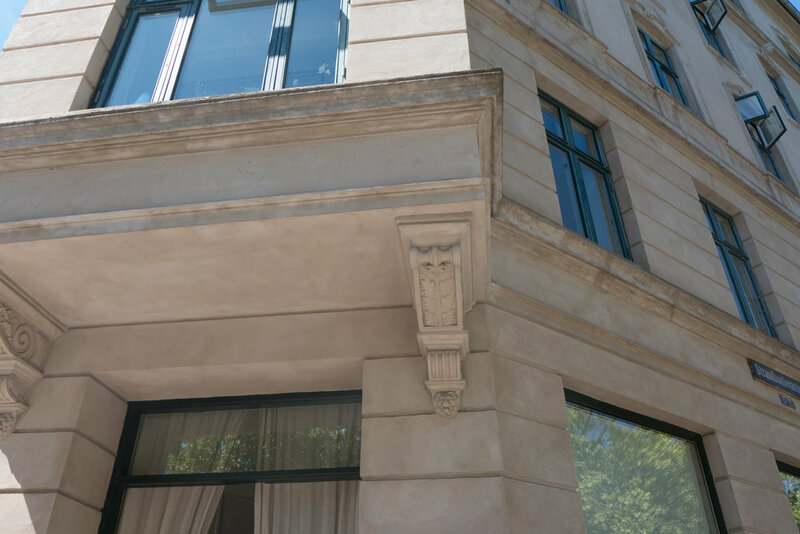 The main FRAMA store in Fredericiagade is another if an up-market version of the same building type …. there a former apothecary shop, at the corner of an apartment building, with ornate ceilings and shelving from the late 19th century surviving. Beyond the main front room of the shop in the Strandboulevarden building, the apartment was relatively small with the windows of its main rooms looking out to the side street and smaller rooms, including the kitchen, with windows looking into the courtyard and with a door in the corner of the kitchen for access to a 'back' staircase and access to the courtyard itself ... a practical and, again, a common arrangement. The last occupant of this shop and apartment was a watchmaker although it had been empty for several years before Niels took over the property. 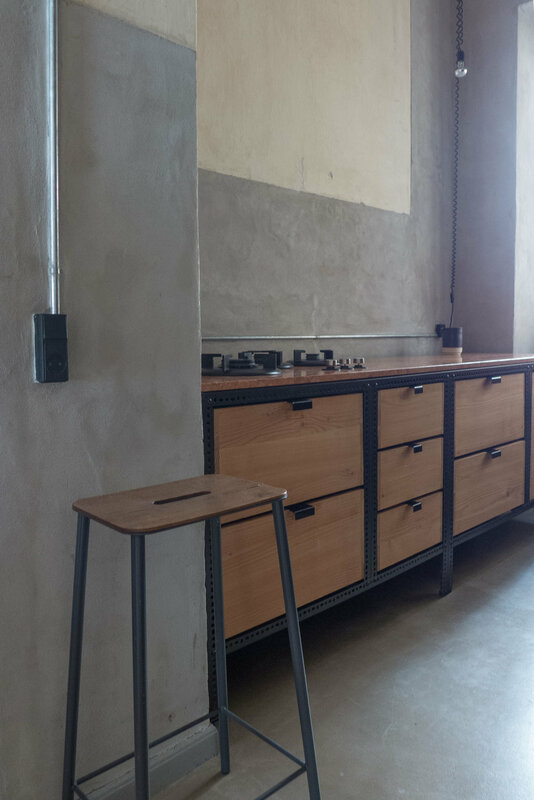 Niels has combined together the space of the shop and the apartment for his home. 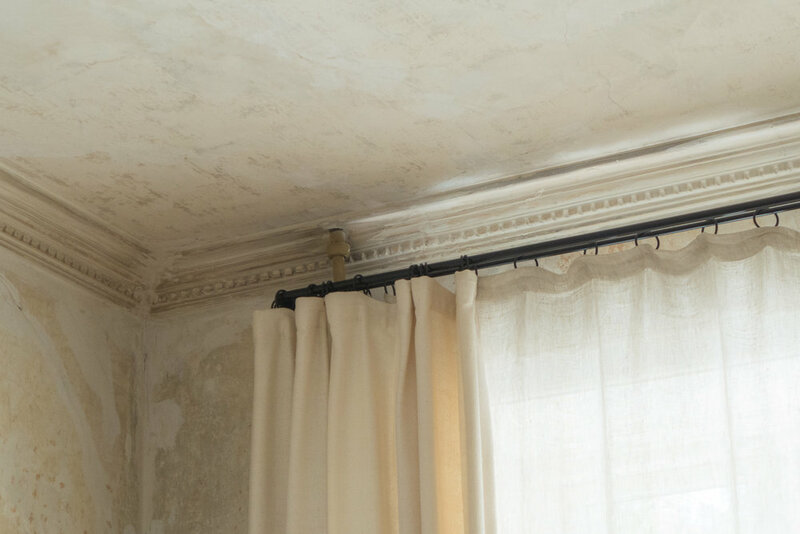 He has stripped back the walls to raw plaster but decorative mouldings of plaster cornices and moulded decoration on the ceilings, where they survived, have been kept. However, architraves and all doors have been removed so that the space flows from one area to the next. With the high ceilings, the windows are large but, because these look out directly onto the pavements to the street to the front and the street to the side, plain white blinds and plain full-length curtains in linen and in natural silk have been used to give some privacy. 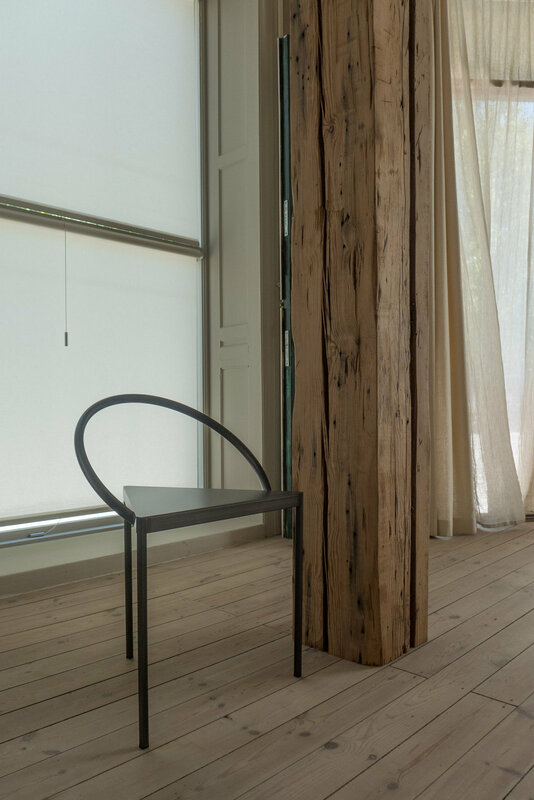 This use of plain textiles also means that there is a subtle control of light and a fluid and softer definition to the spaces and again the emphasis is on natural materials and in their natural colours. Furniture in the apartment is, of course, from the FRAMA collection, and in this setting looks, of course, absolutely right. 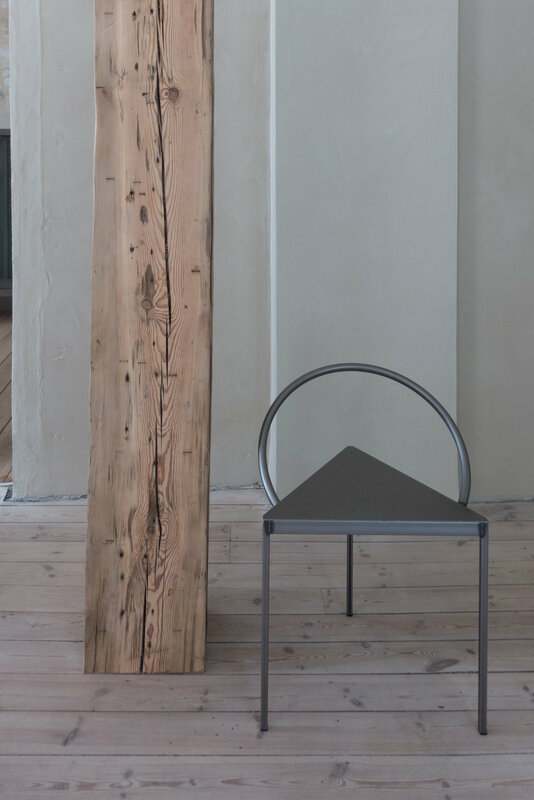 Again, this furniture is about using natural materials, so steel plate or wood or stone, and again used to empasise natural colours and natural textures. Forms are plain and tend towards looking industrial because they keep to relatively simple shapes and emphasise or respect techniques and methods of fixing that are determined by the way the material are used when they are used honestly so used without pretension and, ostensibly, without reference to historic styles or traditional forms and shapes. 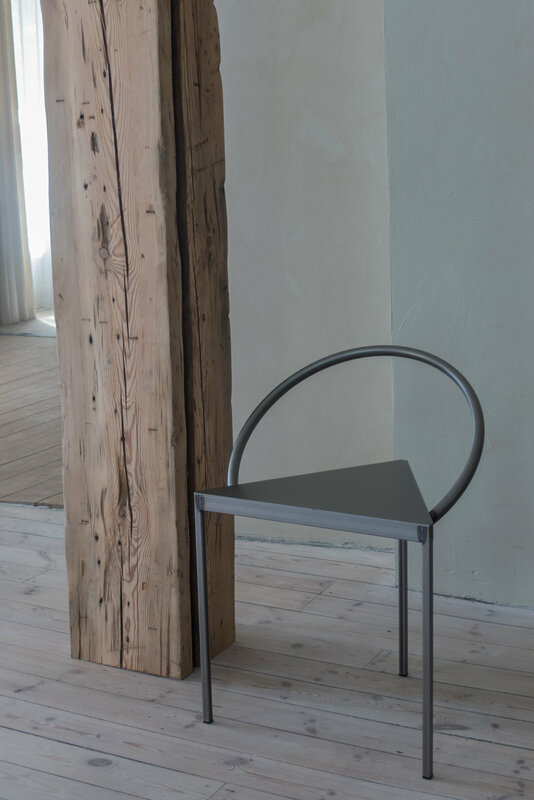 Although plain and without decoration, the furniture and the interiors are obviously far from being unsophisticated and far far from being crudely made or simply designed so this is about a distinct aesthetic that looks at interiors and at furniture in a different way. 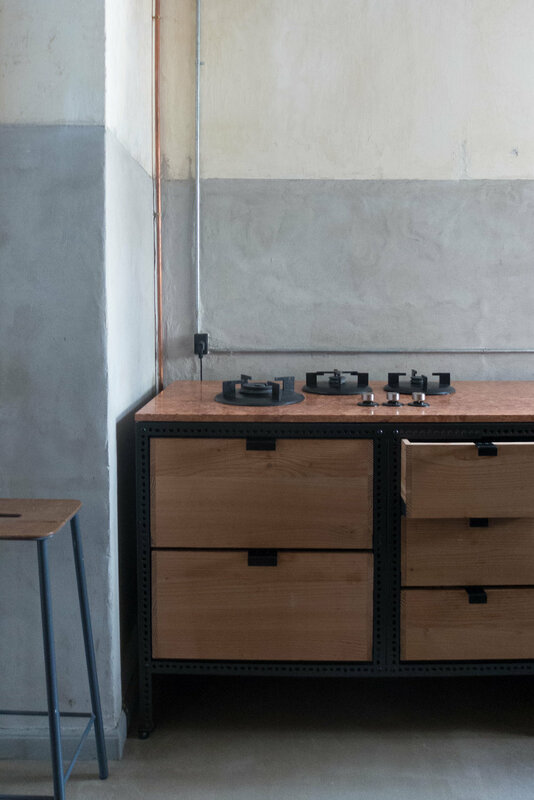 FRAMA might appear to be a life-style design studio - particularly now with their apothecary range and with the book they have published with recipes - but it is about a serious and coherent design aesthetic that looks at materials in particular but also at texture and colour and form in a different way. It has to be significant that Niels has not had a traditional design-school training. 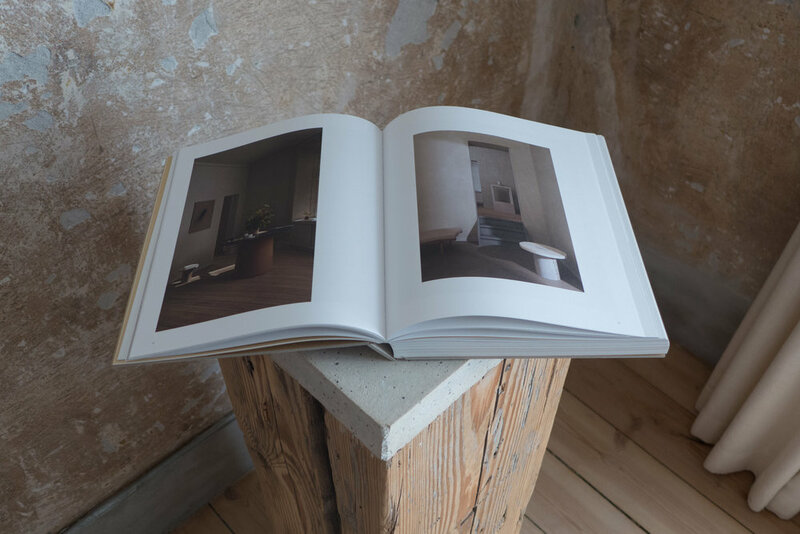 His is not a unique but is a rare way of seeing the design world … so perhaps the most obvious comparisons should be with the work of John Pawson - particularly his photography and his publications - and with interiors by David Chipperfield or the work of Vincent Van Duysen. This is an aesthetic that is stripped back but not strictly minimal - plain and in part close to industrial design - particularly early industrial design from the late 19th and early 20th century - but not brutal and although, ironically, about product design it is also about very careful consideration and calm reflection before acquiring anything. 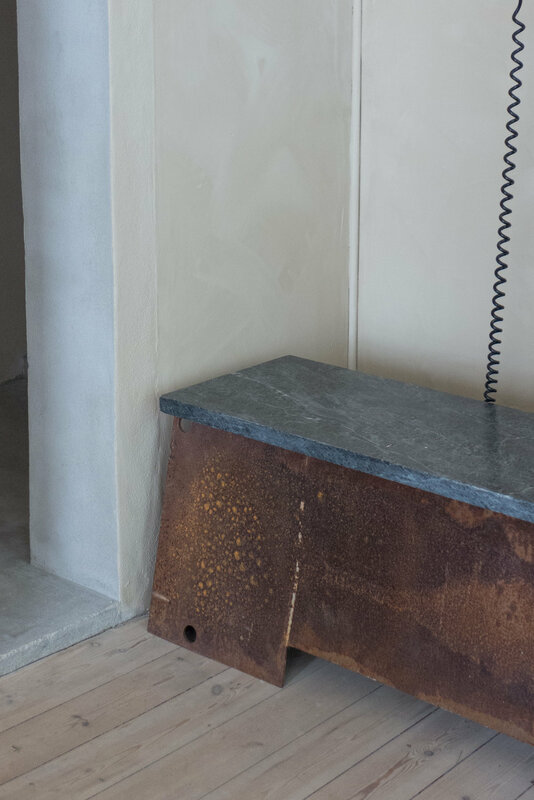 From seeing the apartment, there is a strong sense that anything from anywhere might be considered for inspiration but essentially this is about materials used in a simple almost engineered way that has to respect intrinsic qualities of colour, surface and texture.